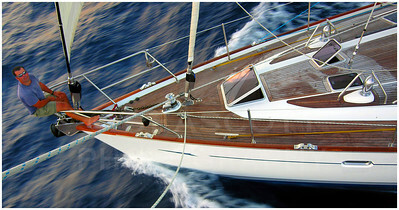 Two days out of the Galapagos, an Oyster 62 catches the trades en route to the Marquesas Islands and the South Pacific. 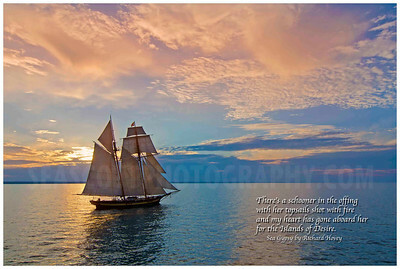 The Pride of Baltimore II north bound on Lake Huron in early July, 2011. 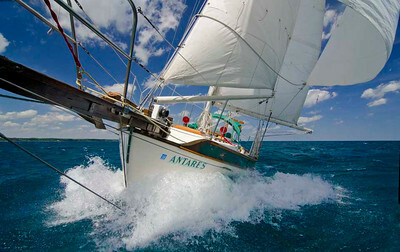 Antares down bound on Lake Huron. 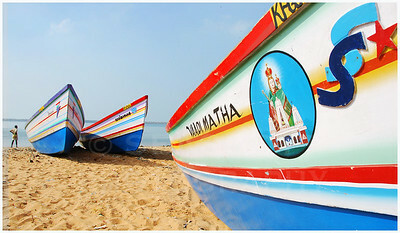 Fishing fleet on the Malabar Coast, southwestern India. 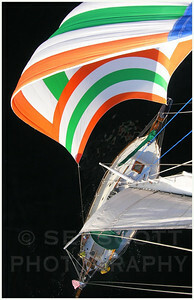 Wind Toy IV sets sail on Lake St. Clair, Michigan. 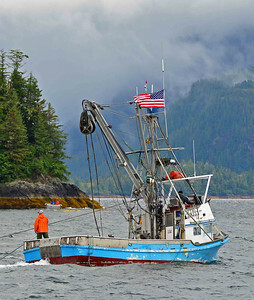 The purse seiner Potato Point fishes for pink salmon in Alaska's Prince Edward Sound. 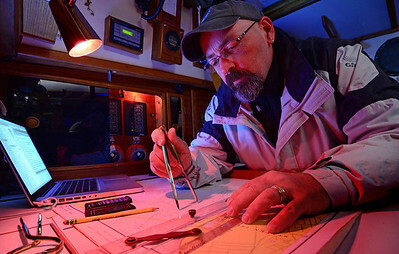 Live-aboard sailor, Chuck Knowles, charts the course. 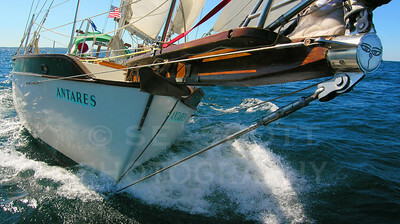 Rival 41, Lake St. Clair, Michigan. 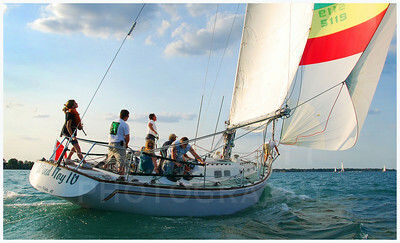 Westsail 32, Northern Lake Michigan. 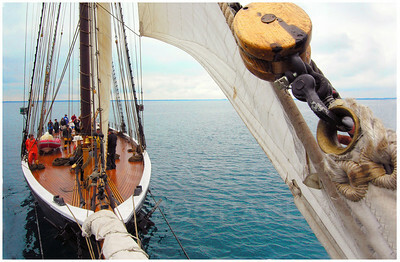 The 154' topsail schooner Highlander Sea becalmed on Lake Huron. 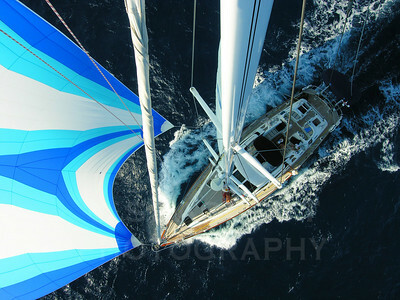 The Oyster 62 Carpe Diem anchored in the spectacular bay of Hanavave on Fatu Hiva, Marquesas islands, French Polynesia. 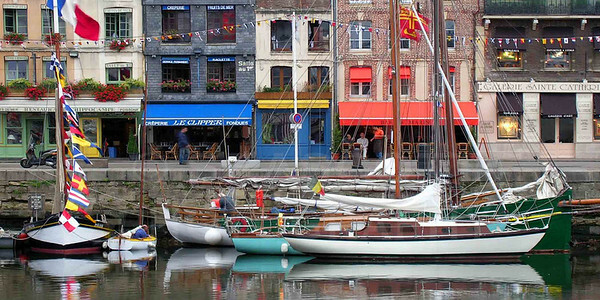 Pilote le Havre, off the French coast, English Channel. 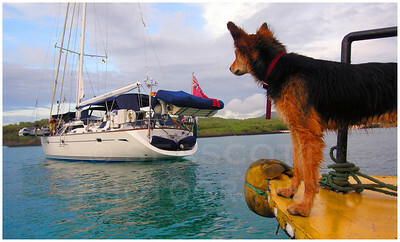 A street dog, fond of riding on the harbor water taxi, eyes a new arrival. 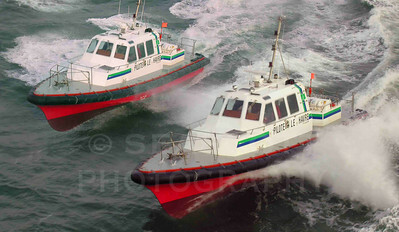 San Cristobal, Galapagos. 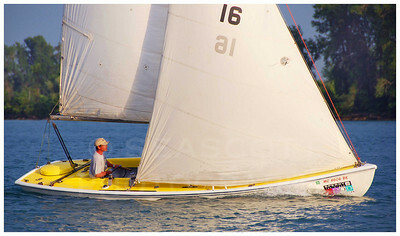 Crescent sloop, Detroit River, Michigan. A "Bone in her Teeth". Lake Michigan. 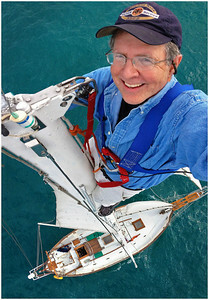 Captain Paul Fenn from New Zealand, en route to the South Pacific. 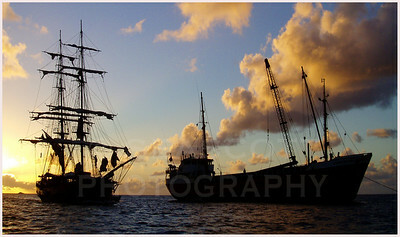 Rodney Bay, St. Lucia, BVI. 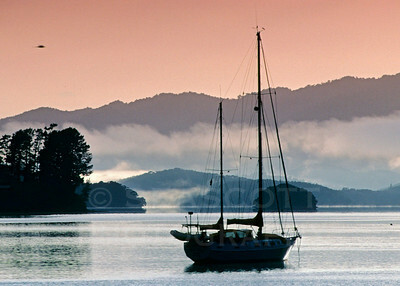 Bay of Islands, Opua, New Zealand. 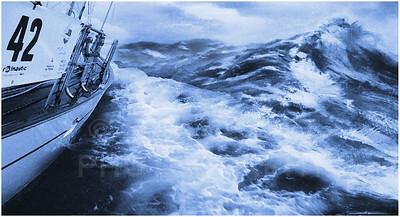 An illustration of summer weather conditions in the North Atlantic. 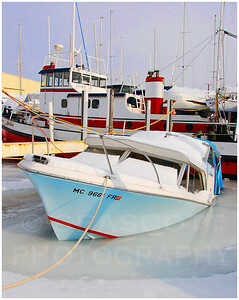 The perils of wintering afloat in Michigan. 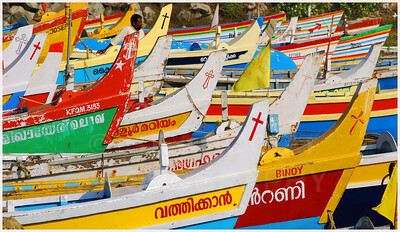 Boats of Catholic fishermen, Malabar Coast, India. 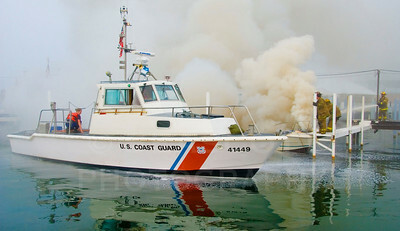 The U.S. Coast Guard assists Detroit firefighters in extinguishing a small boat fire. 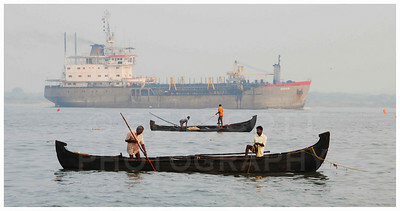 Fishing the shallows, Cochin, India. 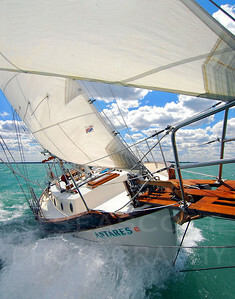 A Westsail 32 piloted by her self steering gear. 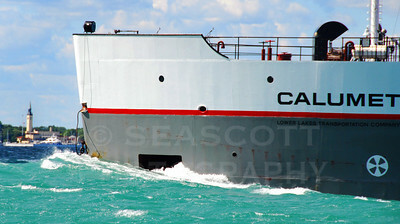 The Great Lakes freighter Calumet pushes her bow wave past the Grosse Pointe Yacht Club. Lake St. Clair, Michigan. 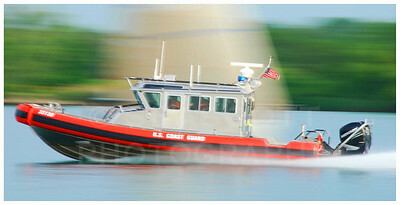 A U.S. Coast Guard vessel rushes up the Detroit River on an emergency call.